At least 130 people have been killed and 35 injured in a strong earthquake in south-western Pakistan. Hundreds of mud houses have been destroyed and it's feared many more people have been buried alive in their homes by landslides. 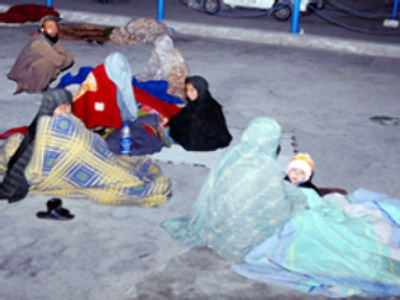 The quake struck before dawn in the province of Baluchistan, an impoverished area bordering Afghanistan. It had a preliminary magnitude of 6.4. The worst-hit area appeared to be Ziarat. With roads blocked by landslides, officials said troops and medical teams on were heading for villages in the quake zone in four helicopterso. They are also airlifting a field hospital as well as thousands of tents and blankets to the area.